Jacey Bedford’s new Psi-Tech space opera series already has book two on the road map. Later this year will see the release of Crossways. Crossways is the sequel to Jacey Bedford’s space opera debut, Empire of Dust. Set against a backdrop of greed-fueled mega corporations and star-spanning manhunts, Crossways is the story of Cara Carlinni and Ben Benjamin, two humans implanted with psi-enabling technology who become renegades against the largest, most powerful corporations in the galaxy. Filled with tense action and vivid tech, Crossways delivers sensational adventure to readers craving smart, striking science fiction. Ben Benjamin, psi-tech Navigator, and Cara Carlinni, Telepath, can never go home again. To the Trust and Alphacorp alike they are wanted criminals. Murder, terrorism, armed insurrection, hijacking, grand theft, and kidnapping are just the top of a long list of charges they’ll face if they’re caught. So they’d better not get caught. They take refuge on crimelord-run Crossways Station with the remnants of their team of renegade psi-techs and the Solar Wind, their state of the art jump drive ship. 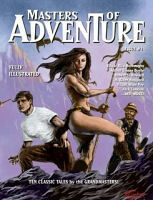 They’ve made a promise to find a missing boatload of settlers and to do that Ben and Cara have to confront old enemies. Alphacorp and the Trust; separately they are dangerous, united they are unstoppable. They want to silence Ben and Cara more than they want to upstage each other. If they have to get rid of Crossways in order to do it, they can live with that. In fact, this might be the excuse they’ve been looking for. But something new is stirring in the cold depths of foldspace: aliens from another dimension or simply hallucinations? What are the repercussions for psi-tech Navigators who fly the Folds on gut instinct?